48 Lukie Points will be rewarded to you when you buy this. Link must save the world! 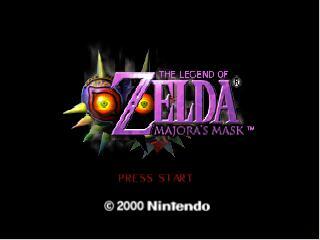 Thrown into a parallel world by the mischievous actions of a possessed Skull Kid, Link finds a land in grave danger. 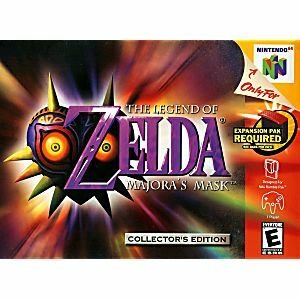 The dark power of a relic called Majora's Mask has wreaked havoc on the citizens of Termina, but their most urgent problem is a suicidal moon crashing toward the world. 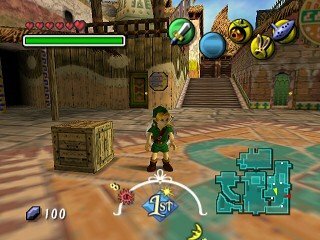 Link has only 72 hours to find a way to stop its descent. 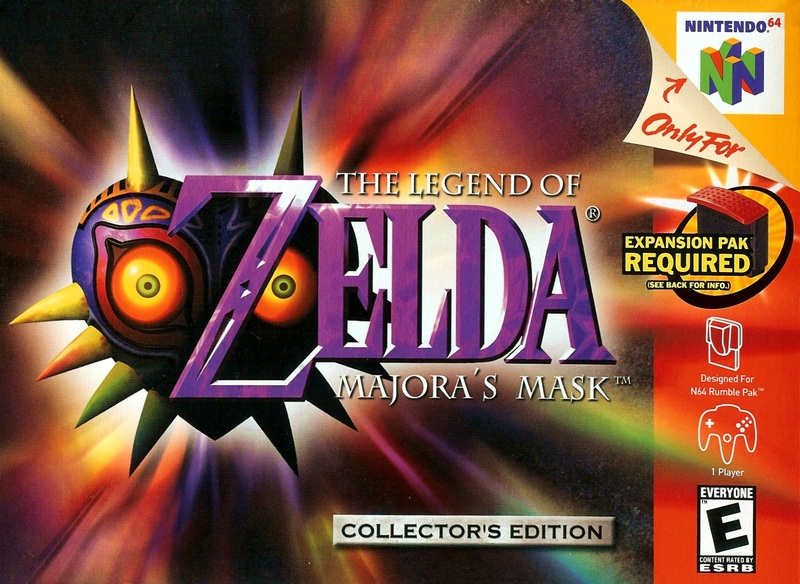 Never before has three days offered so much in the way of action, mind-boggling puzzles, and depth - The Legend of Zelda: Majora's Mask is an adventure unlike any other! This is the special edition of with the holographic artwork on the front of the cartridge. Great game! It works very well. It was shipped over pretty quickly. There's a bit of a rattle when I shake it, but it works perfectly and that's all that really matters. Wanted to find this old game and came across this site. Ordered the game and it shipped the next day. Arrived on time and in excellent condition. The game plays great! So glad I found it. Very happy with my purchase. Thanks! Christmas gift for my son that arrived very quickly and in great condition! A favourite game of his, so he’ll love it! Thanks for the excellent selection and service! Received my game which had been damaged during shipping. Sent a picture of it to Lukies Games they responded right away letting me know they would be sending me another one right away with express shipping. My second purchase from them and yet another great experience thank you! The game arrived damaged, I notified Lukie games and they shipped a replacement right away free of charge. The game works perfectly and I am very happy. This game was a childhood favorite of mine so i went ahead and ordered it. The game arrived very quickly even though I live in Canada. During the shipping the game was damaged by the postal company. I explained the issue to Lukie Games and they quickly issued a new copy to me free of charge! (they didn't even make me send to damaged game back!) I was extremely happy with the amazing customer service Lukie Games has provided and I would recommend this site to anyone interested in retro video games. They have great prices, amazing and quick responding customer service and have a wide variety of retro games and systems. Fast shipping, game exactly as described. Thank you much! Couldn't be happier with the entire process.